Date & Time Details: Arrival Sunday July 21st mid-afternoon. Departure Saturday July 28th after breakfast. Teachers are invited to arrive on July Saturday 20th for set up of your class area. 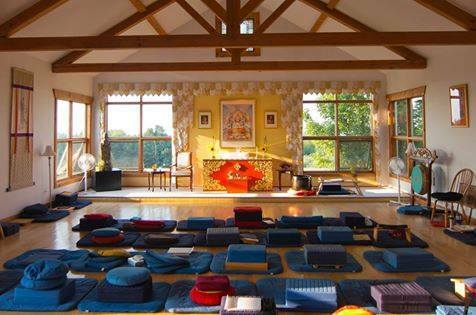 Family Camp is a magical week for parents and children to spend together with friends old and new at Dorje Denma Ling. In the mornings there will be engaging programs, arts and crafts for children, while parents and other family members have time for meditation practice, socializing, study, relaxation, contemplative walks, and more. In the afternoons and evenings, families can enjoy the beach, visit a local farm, fly kites, sit around a campfire, sing songs, and play games. Family Camp continues to be an annual tradition that many parents acknowledge as the highlight of their year. Take the opportunity this year to spend quality time with your family, enjoy sweet summer life, and experience the beauty of Dorje Denma Ling and surrounding area. During Family Camp 2019, Dorje Denma Ling will be offering Rites of Passage. This program is typically for children 8 years of age, but is open for children up to 11 years old. The Rites of Passage program celebrates the transition from young childhood to a stage where children are ready to take greater responsibilities and begin to develop a more complex awareness of the world around them. Chogyam Trungpa, the founder of the Shambhala teachings, explained that, at eight years old, children in Tibet are given the task to take care of young animals on which their family depend for survival. 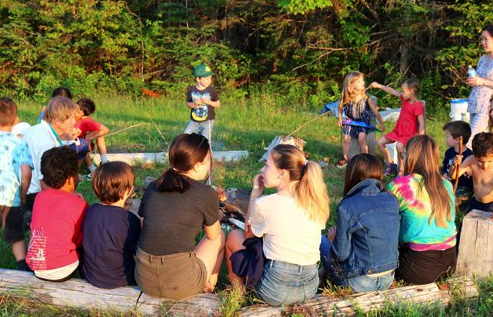 Throughout the week at Family Camp, children participating in Rites of Passage will work with the elements and experience contemplative practices that will help them face the challenges this new stage of life will bring. The week concludes with the Shambhala Rites of Passage ceremony to which family, friends, and the local Shambhala community are invited.